Amazon Echo Show Just $100! Down From $230! PLUS FREE Shipping! 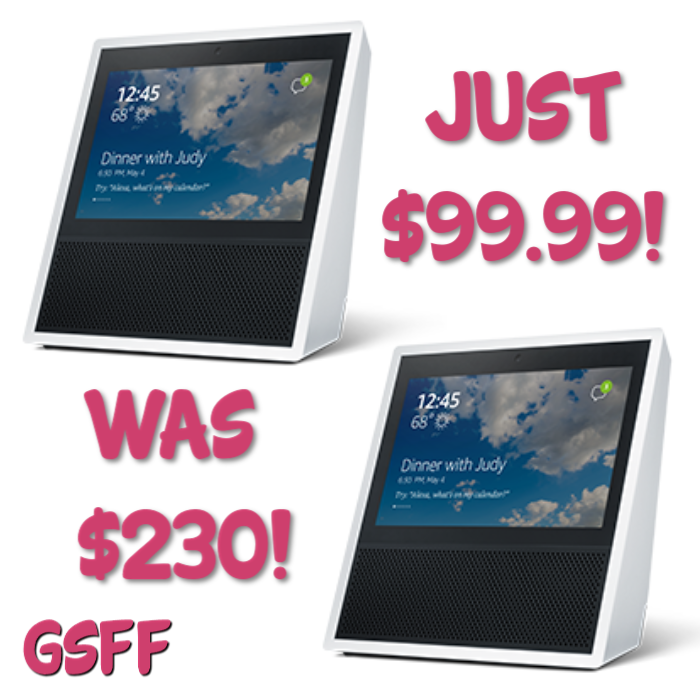 You are here: Home / Great Deals / Amazon Deals / Amazon Echo Show Just $100! Down From $230! PLUS FREE Shipping! Don’t miss this deal from Best Buy! You can get the Amazon Echo Show 1st Generation for just $99.99, down from $229.99, PLUS FREE store pick-up or shipping! The Echo Show lets you watch video flash briefings, stream your favorite music, check your calendar and to-do list, view security cameras, get updates on weather forecasts and more! You can also call anyone hands-free or make video calls to your family and friends. Plus, the Echo Show allows you to control Amazon Video on Fire TV with your compatible smart home devices or connect to other smart home devices! Ask Alexa to turn on your lights or to control your thermostat, garage door, sprinklers, and more! With eight microphones, beam-forming technology, and noise cancellation, Echo Show hears you from any direction — even while music is playing.